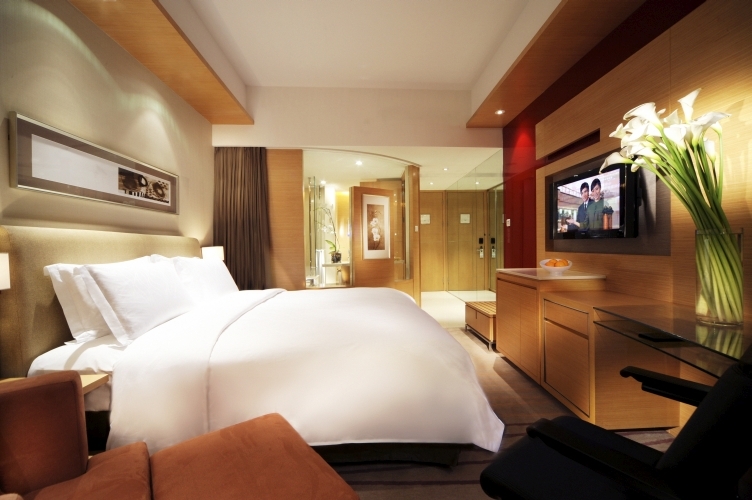 At New World Wuhan Hotel, our suites balance space with cosiness and add luxury and exclusive privileges. 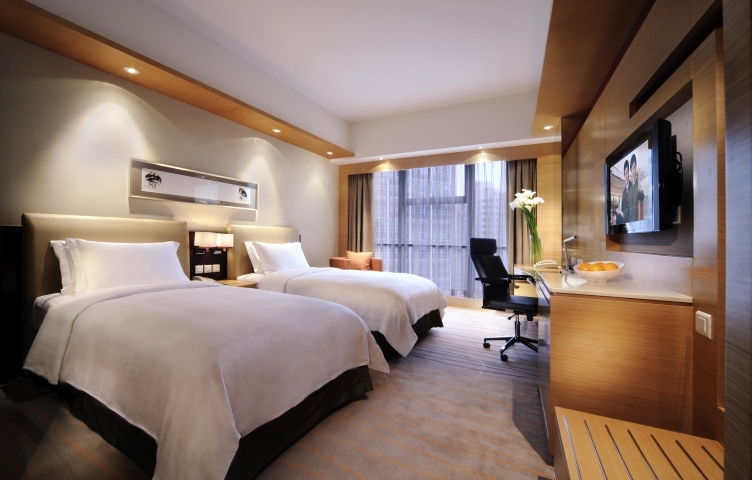 Our suites and the service that accompany them are the embodiment of exceptional living – and our suites are some of the most luxurious in Wuhan. Elegant décor, warm colours and plush furnishings add to the residential feel of the rooms, and mood and task lighting create an ambience that puts you at ease. High ceilings and beautiful views enhance the expansive feeling of the already spacious rooms. All suites have a separate bedroom and living/dining area with a dining table. 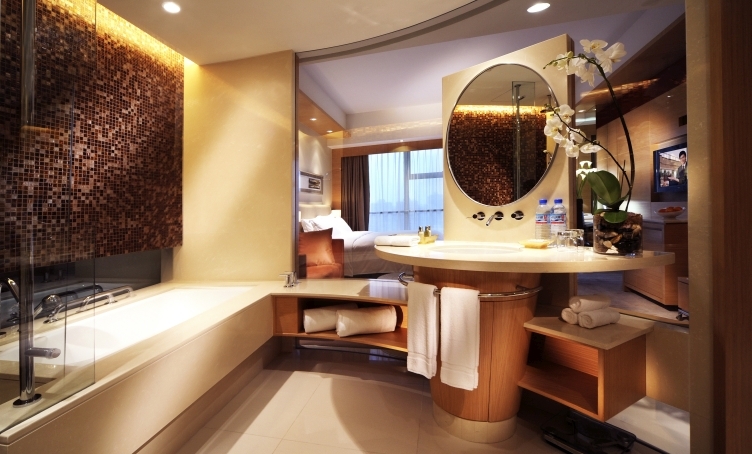 After a day of business or shopping or sightseeing, you can relax in the bath or meditate under the shower before slipping into a bed that feels like heaven. We know you’ll feel refreshed and ready for anything the next morning. Director’s Suite, 67 square metres, Levels 7 to 26. 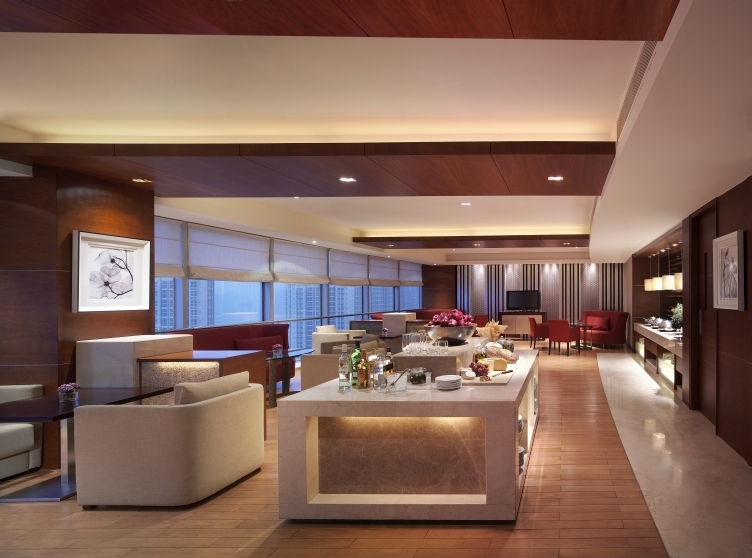 These suites overlook the city of Wuhan and feature separate bedrooms and living/dining areas, which are ideal for extended stays and entertaining guests. 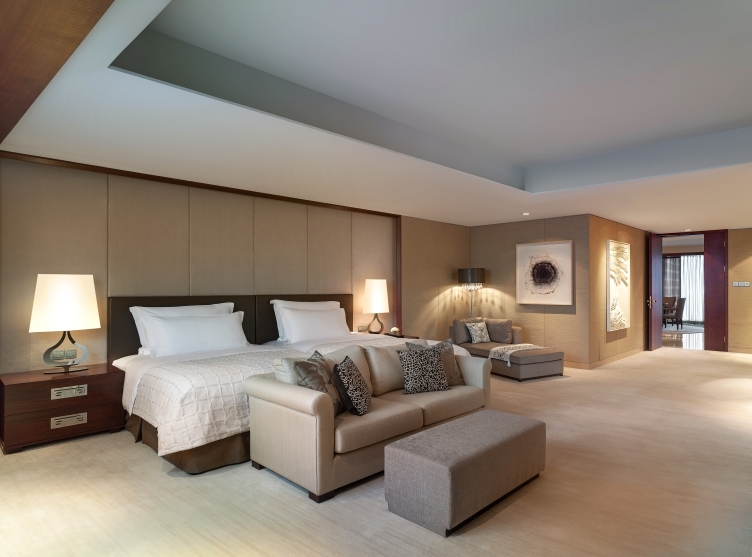 Some Director Suites can connect to a Deluxe Room to create a larger space for families. The Presidential Suite includes three bedrooms, 8-seat dining table, parlour, reading room, fully equipped kitchenette and bathroom with Jacuzzi. Our Presidential Suite is on the highest floor in the hotel and its ultra-luxurious appointments include a super-king-size bed and a Jacuzzi. There is an attached bodyguard room for a personal security detail.